To process Japanese green tea, soon after the leaves are plucked, they are supposed to be steamed or pan-fired to stop its oxidation. Yes, as soon as possible after the leaves are plucked. Otherwise, the tea would be withered. 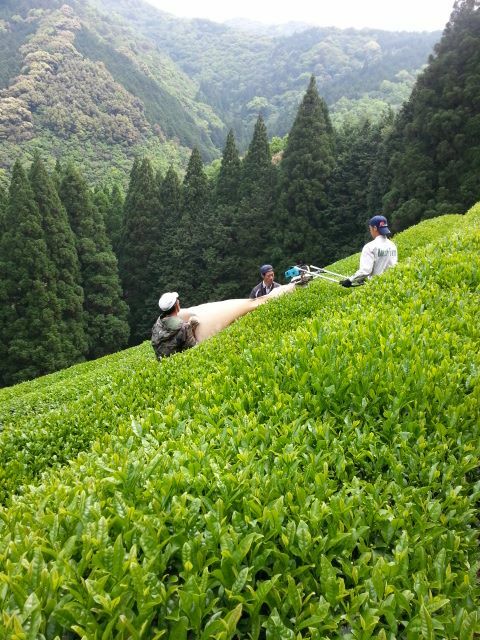 The process of withering adds some aroma to the tea, and it is considered to make Japanese green tea quality worse since the distinguish trait of the tea is umami (savory), not withered aroma. 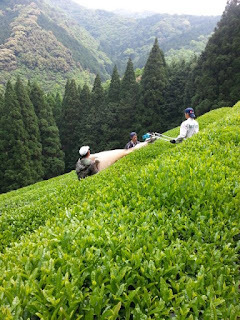 In short, it is thought that withering could destroy the quality of Japanese green tea. This seems to be a rule made by the Japanese tea association during the mass-producing era when it was considered that the taste of the tea should be unified. However, it’s becoming the thing in the past. Nowadays, Japanese green tea with a bit of withering are seen more and more. The time has changed now and it is more “individual” era, not mass-producing era. "Unified" is not always needed. Recently, people, especially younger generation appreciate aroma. For tea geeks, it is exciting to find something different and special. So it is natural to see the tea with more aroma. While a distinguish aroma of traditional shaded Japanese green is called “ooika (lit: ooi=shade/cover, ka=aroma)”, the withering aroma is called “ichoka (lit: icho=withering, ka=aroma)”. As one of the tea geeks, the more choices, the more happier.